“If you don’t go now, then you never had a right to sit with them to begin with,” (Kindle Location 1451). Sapere’s tribe has finally settled into their new semi-stable home in the Wild when Sapere and Venatore find the Great Blue Waters and evidence of their sister tribe. They must warn the other tribe of the danger of the Pliz and maybe, just maybe, they will be offered refuge and a safe place to regrow their tribe. But after all the upheaval and strife they’ve been through, will the tribe follow Sapere once more? Such a great read! This is a book that both boys and girls should read and would love to read! Sapere is a role model and the author shows how Sapere thinks in all sorts of trying situations. How does one become a leader? What is it like to have heavy responsibilities? Just read this series! Sapere was strong and even when she doubted herself, she was able to step up and take her rightful place. The scene where Sapere wasn’t sure she should sit with the men of the new tribe, even though she’s earned it was such an amazing moment. Yes for women everywhere! 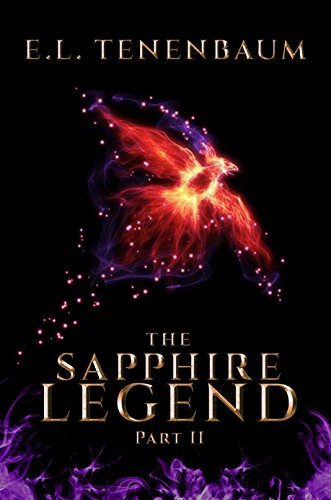 This world in the Sapphire Legend may not be perfect, but seeing what characters do when presented with tragedy and the chance to be better people is what kept me reading. This is a book and this is a series that will teach you something and leave you as a better person for having read it. A fantasy for everyone. This novel was published by Melange Books – Fire and Ice Ya on January 9th, 2016 and is available on Amazon here.